62 new songs for Cradle Roll children. 62 new songs for Cradle Roll children. 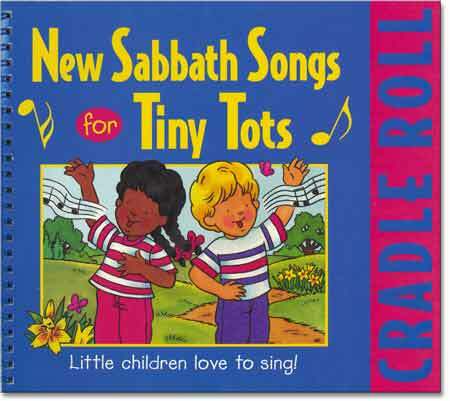 So many of us grew up singing the Tiny Tots songs in Sabbath School and at home! These songs helped to shape characters, fix in our minds the love of Jesus, appreciate God's gifts in nature, and withstand many of childhood's temptations. Here is a new collection of songs, written by mothers, teachers, and Sabbath School leaders. Each has a simple message to assist in the spiritual development of small children. Tunes are simple and easy to remember, many with actions to make them even more effective and memorable. Wire bound to lay flat, heavy paper for durability. Paperback, 40 pages.